So I’m guessing you probably have a damp problem or mould growth since cavity wall insulation was installed? Don’t worry you’re not the only one! Many property owners across the UK are finding they have damp patches on the walls, or mould and sometimes even water running down the walls. I have personally been to hundreds of properties where customers have spent hundreds of pounds on roofs, sealants, rendering, pointing, guttering, only to find that the cause of the problem is in fact the cavity wall insulation. It is easy to be convinced that the damp problems are something other than caused by the insulation, like holes in the mortar or rising damp, however, rising damp can only go up at the very most by two bricks in the wall. 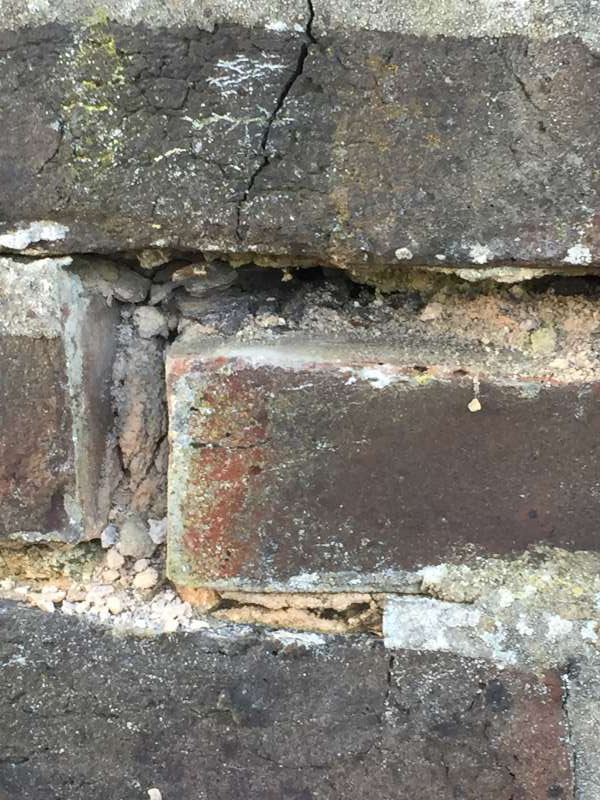 There may well be rubble in the cavity above the damp proof course (DPC) causing the damp but don’t waste your time injecting a new damp course. Having cavity wall insulation and rubble above the damp proof course would maximize the area of damp on the internal wall significantly. The same as if you had mortar droppings on wall ties and prior to insulation the damp penetration was so minimal you couldn’t even notice the damp, then you get your walls filled with this insulation and the problem gets magnified, plaster starts blowing and paint blistering. Why? Because insulating cavities completely, effectively makes a solid wall. “But they said the insulation has a waterproof coating?” Having removed insulation on properties with damp, it shows that cavity wall insulation does hold water. Another factor to bear in mind is money hungry installers whom have full control on how fast the cavity wall insulation can be injected into your walls, the more properties they fill, the more they earn! 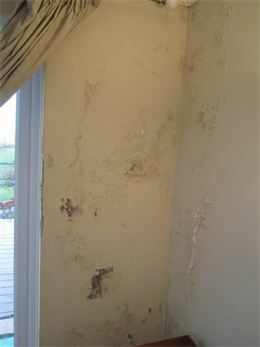 We have found that 7 out of 10 cases of damp penetration are a result of poor installation. The best solution to resolve your damp or mould problem is to remove your cavity wall insulation or don’t get the insulation installed in the first place – that is the answer unfortunately. Many companies are now looking at other ways to provide insulation for your home like insulated plasterboard and insulation cladding/render. Please don’t block your cavities. The cavity wall was introduced in the 19th century and gained widespread use from the 1920s. The purpose of the cavity is to prevent the passage of moisture into the building. 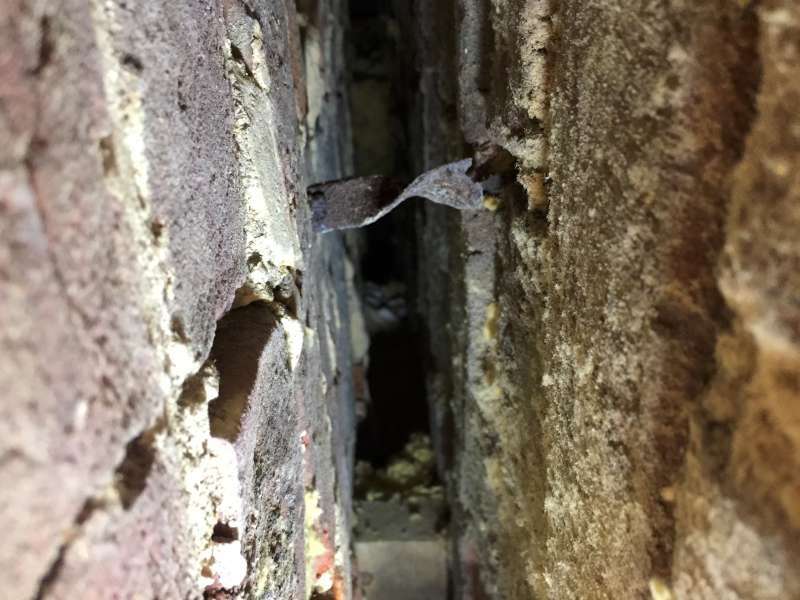 The widespread insulating of cavity walls started in the 1970s however, the cavity was designed for a reason and only now are we starting to see the problems with insulating the cavity – water ingress, damp, moisture, mould, etc. Coastal Wall Ties specialize in removing insulation from properties in the Sussex and Hampshire area, contact us for a free quotation 01903 713053 or 07513345231, send us a message or email us on enquiries@coastalwallties.co.uk.